Beecher’s Handmade Cheese, 1600 Pike Place, Seattle, WA. Also in NYC’s Flatiron District. Mmmmm cheese, yes please! You can take the girl out of Wisconsin (almost 20 years), but you can’t take the cheese lover out of her. 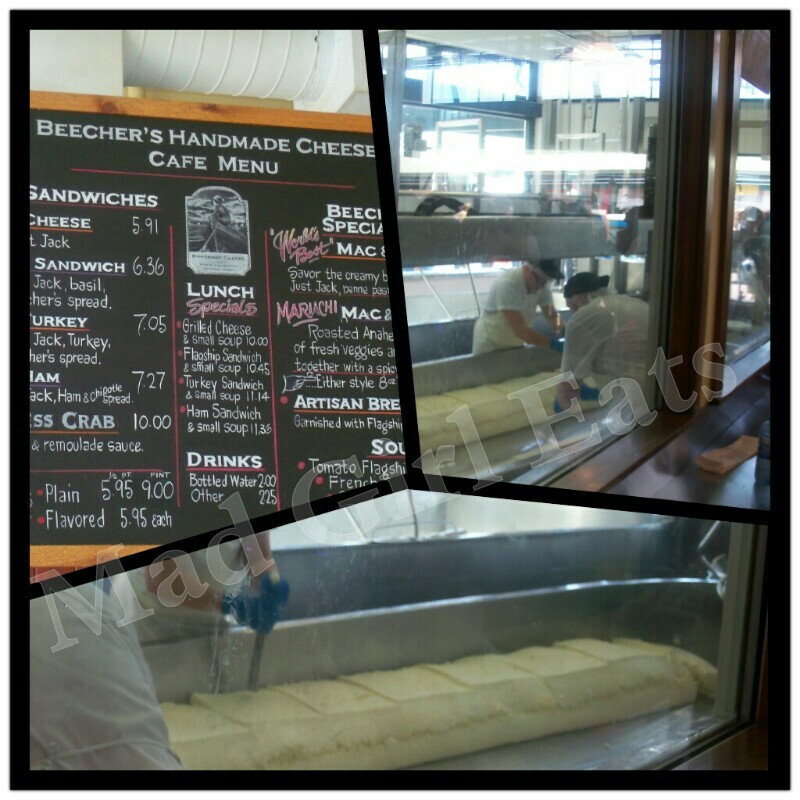 I was so excited to visit Beecher’s, across from Public Market in downtown Seattle. Warm and welcoming wood floors and brick interior, with glass walls to watch cheese making. Fascinating. Yes, fascinating. Beecher’s has a nice menu of sandwiches, soups, pasta, and cheese by the wad. The only item I was drooling for, was their “World’s Best Mac & Cheese”. The line was long, but I muscled through it and got my cup of penne pasta with ooey gooey beautiful cheese. It was extraordinarily delish. This is not your box of neon yellow-orange mac & cheese. This is on the next level. Time to evolve. If you’re downtown, make your way down the steep hill…sans stilettos, and get a heap of this smile erupting mac & cheese. Check their website for times and vacation closures, so you’re not disappointed. As seen on Crave on the Food Network and on Oprah. Beecher’s Mac & Cheese named one of Oprah’s Favorite Things. We agree, O! 4.75 out of 5 cheesy gooey goodness! 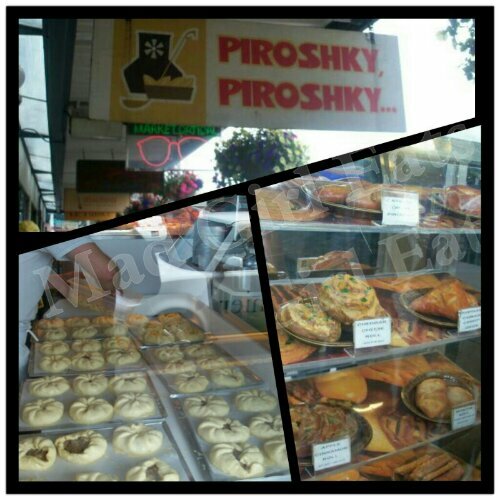 Piroshky Piroshky, 1908 Pike Place, Seattle, WA 98101. Piroshky Piroshky is a sublime Russian bakery directly across the street from Seattle’s famous Public Market. Taken from the Russian word “Pir” meaning feast, this shop offers single serve rustic stuffed pies with amazing fillings. Meant to be a ‘hand-held meal’, you can get versions of these pies with meat, vegetable, and sweet fills. I ordered the potato, onion and cheese pie. Ooh, so fantastic. Next time I think I’ll go local flavor and order the smoked salmon pate pie, and finish with a fresh rhubarb or cream cheese and berries…or both. The pastry itself is light, flaky, perfection. You can’t miss! These are definitely a nice hand-held meal. Easy for eating and walking around one of the coolest cities, Seattle. Excellent. As seen on Anthony Bourdain’s show, No Reservations, on the Travel Channel. 4.5 out of 5 high pies!